New Jersey Online Casino Live Dealer Games are a new mix between popular online casino games and elements of a land based casino experience. 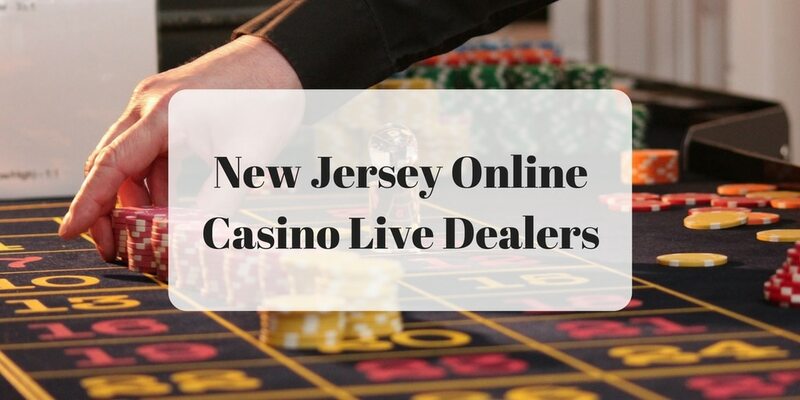 Live Dealer Blackjack, Roulette, and Baccarat are the first online casino games available to New Jersey players, but there are bound to more games offered in the future. For now you are able to live dealer games from the hours of 3pm to 3am at either the Golden Nugget NJ Online Casino or the Betfair NJ Online Casino. You can access a number of tables online as well as use any bonuses on your real money wagers. 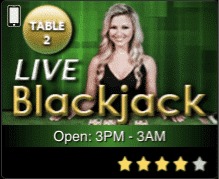 New Jersey Online Casino Live Dealer Blackjack is by far the most popular casino game that uses a live dealer. It also has the highest return percentage averaging at 99 percent. With a house edge under one percent, the odds to win are close to online games.The gameplay for New Jersey Online Casino Live Dealer Blackjack is almost identical to playing regular Online Blackjack. However, the live dealer will always deal the cards using a real shoe that uses eight decks of cards. In online games the casino will shuffle the cards at random, but in Live Dealer Blackjack the dealer will shuffle the eight deck shoe at the halfway mark to prevent card counting. The rules of Live Dealer Blackjack are also similar to online versions such as a win paying out 1 to 1 and a Blackjack paying 3 to 2. When playing online at the two available NJ casinos, all versions of Live Dealer Blackjack let you double after splits as well as for any two card combination. Although splitting is popular, you will not be able to split a second time including Aces or eights. The last important rule to mention is that there is no surrendering in live dealer games, whereas the options is available in a few Online Blackjack game types. When playing Online Blackjack without a live dealer, the side bet options are limited. However, Live Dealer Blackjack on both the Golden Nugget NJ Online Casino and the Betfair NJ Online Casino offer additional side bets that have big payouts when they hit. Although there are only two different side bets for Live Dealer Blackjack, both have return percentages averaging from 94 to 96 percent. A Perfect Pair is a side bet made in Live Dealer Online Blackjack when you wager that the first two cards dealt to you will be two cards of the same number or face. For example, a Perfect Pair would be two sevens or two kings. Through both of the available NJ Online Casinos who offer Live Dealer Blackjack, when making this side bet, you have the opportunity to be paid out more depending on the odds. When you are dealt a basic pair of the same numbers, you are paid out 6 to 1. If the pair is either both black or red suits, than the payout double to 12 to 1. Finally, due to playing with eight decks in Live Dealer Blackjack, if your Perfect Pair is of the same suit, then you are paid 25 to 1. The 21 + 3 is when a player combines their two cards along with the dealer’s face up card to make a series of three card poker hands. The side bet only covers five hands, but the payouts can be huge for the harder combinations. A flush or three cards of the same suit will pay 5 to 1. A straight or three cards in a sequence pays out 10 to 1. A combination of a straight and a flush will win 40 to 1. Three of the same card pays out 25 to 1, and finally if your first two cards and the dealers face card are all the same card and same suit, the winning payout is 100 to 1. 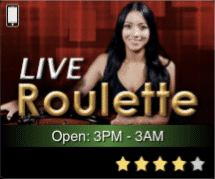 The New Jersey Online Casino Live Dealer versions of Roulette offered at both the Golden Nugget NJ Online Casino and the Betfair NJ Online Casino have similar gameplay to that seen in fully Online Roulette games. The wheel has 38 slots with 36 numbers either red or black as well as two green slots labeled with 0 and 00. The only differences unique to Live Dealer Roulette is that the bets are settled digitally where as the wheel and spin is within the Golden Nugget Casino in Atlantic City. The other important rule to note is that where in a normal roulette game, you are able to bet on the two different green zero slots on the wheel, but in Live Dealer Roulette games, you are unable to place bets and lose automatically when the spin lands on either zero. The return percentage for all Live Dealer Roulette games average at 95.74 percent. You can make a number of bets on which slot or slot type the Roulette ball will land in. There are 10 total bets you can choose from that are categorized into two different types of wagers. The first five bets are based on selecting specific numbers and are known as Inside Bets. The second set of five bets you can make are known as Outside Bets and are made on colors or sections of numbers. Bet minimums start at $1 in New Jersey and max out at $2000. The Straight Up – Pick any number between 1 and 36 and if it hits, the payout is 35 to 1, which is the most you can win in the game. The Split – You can choose any two numbers that are side by side on the bet table and if the ball lands on either, you win 17 times your original bet. Street – A Street Bet is when you choose any three numbered row on the bet table and if the ball land on any of them, you get paid 11 to 1. Corner – If you place money on a corner that connects four numbers on the bet table, and any of those numbers hit, the payout is 8 to 1. Line – This bet combines two three numbered rows on the bet table that are side by side, and if any numbers hit, the payout is 5 to 1. Column – If you choose any of the columns that contain 12 numbers on the bet table and the ball lands on any of the numbers within the column, you win 2 to 1. Dozen – You can choose to bet on the ball landing on either one of the first 12 numbers, the second 12 numbers, or the third 12 numbers, which pays 2 to 1 if won. Red or Black – A bet that covers either the 18 red numbers or the 18 black numbers on the wheel. This bet pays out 1 to 1. Even or Odd – You can choose to make a bet on the ball landing on any of the odd numbers or any of the even numbers. The payout is 1 to 1 for either. High or Low – You can bet on the ball landing on the the higher half set of numbers or the lower half set of numbers, both bets paying 1 to 1. 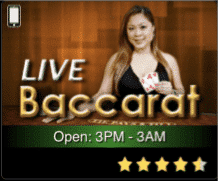 When playing Online Baccarat with a live dealer, the same rules to winning the game is identical to that in regular online games or in a land based casino. All cards in Baccarat have the value equal to their number, with all face cards holding a value of 10. Before the round of play starts, you chose whether you will win, the dealer will win, or if it will be a tie. The first card drawn is known as the burn card. The dealer discards the burn card and will discard any next cards with the same value. As the player, you are first dealt two cards by the dealer, who also deals another two cards better known as the “banker hand.” You will want your hand, or the banker’s hand if you bet on it, to be as close to 9 as possible. However, for hands dealt with a face card, subtract 10 to get your true Baccarat value. The round of the game will end before any more cards are dealt through a few different scenarios. If either the player or the banker has a two card combination of eight or nine, this is known as a “Natural Win.” Another way the game ends early is through a tie, when both the banker hand and the player hand have the same Baccarat value. All wins pay out 1 to 1 for players and 1 to .95 for dealers. However, a tie has a 1 to 8 payout, pushing the house edge over 15 percent. When neither the player hand nor the banker hand does not equal either an eight, nine, or share the same value as each other, the player is dealt another card. The third card dealt to the player determines if the dealer will draw again for the banker hand or stay. The player draws a two or a three, the dealer will stay if the banker hand is at five, six, or seven, or will draw another card if the value is at zero through four. The player draws a four or a five, the dealer will stay if the banker hand is at seven, or will draw another card if the value is at zero through five. The player draws a six or a seven, the dealer will stay if the banker hand is at seven, or will draw another card if the value is at zero through six. The player draws an 8, the dealer will stay if the banker hand is at three through seven, or will draw another card if the value is at zero through two. The player draws a nine, 10, face or Ace card, the dealer will stay if the banker hand is at four through seven, or will draw another card if the value is at zero through three. The Dragon Bonus Bet is the most popular side wager made in Live Dealer Baccarat, and is especially a favorite to online players in New Jersey due to its high payouts and return percentage of 97.35 percent. The Dragon Bonus Bet is when you are wagering that not only will the player win the Baccarat hand, but that they will win the hand considerably by at least four points. A Natural Win of nine or eight pays out 1 to 1. A Non-Natural Win by 4 or 5 points pays 2 to 1. A Non-Natural Win by 6 or 7 points pays out 4 to 1. A Non-Natural Win by 8 points pays out 10 to 1. A Non Natural Win by 9 points pays out 30 to 1. A Tie returns bets to players. Any other wins or losses in the game equals a loss for the Dragon Bonus Bet. 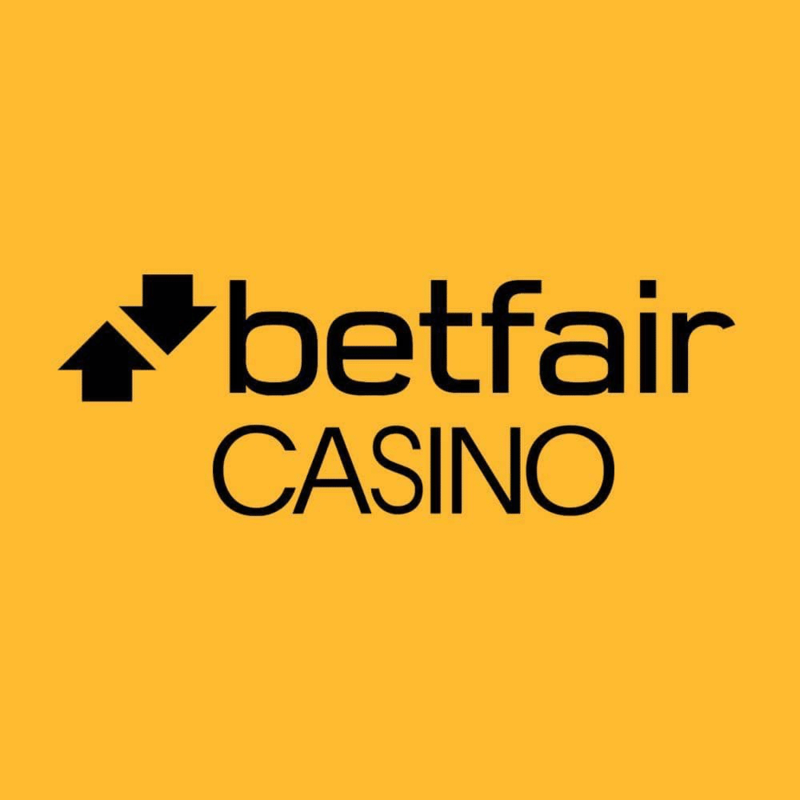 Both the Golden Nugget NJ Online Casino and the Betfair NJ Online Casino have updated their mobile platforms to host Live Dealer Blackjack, Roulette, and Baccarat. 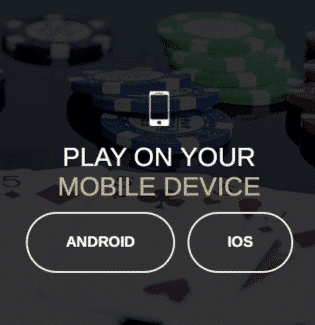 Live Dealer games are available for both smartphones and tablets and are streamed from the Golden Nugget Casino in Atlantic City, New Jersey. 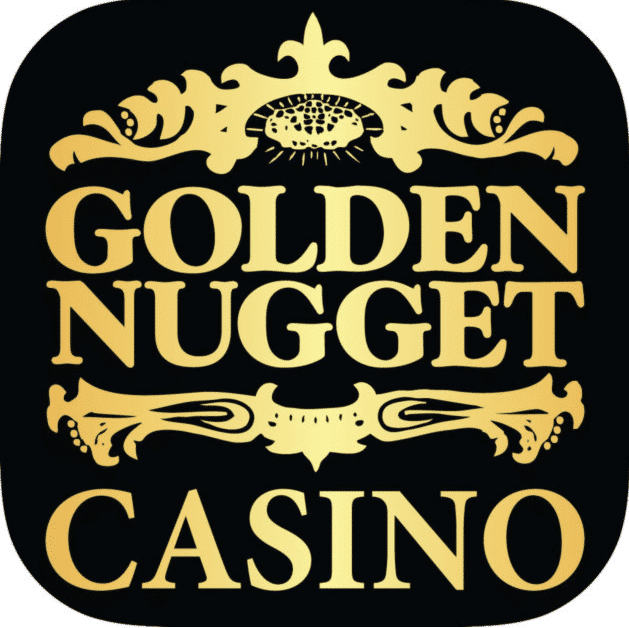 If you are using an iOS device, then you able to download either of the Golden Nugget NJ Online Casino or the Betfair NJ Online Casino mobile apps for iPhone, iPod Touch, or iPad. If you are an android user, you are able to download the mobile app from either online casino website directly using your Android mobile device. Are New Jersey Online Casino Live Dealer Games Legal? Online Live Dealer Casino games are completely legal in the state of New Jersey through the 2013 legalization of online gambling. 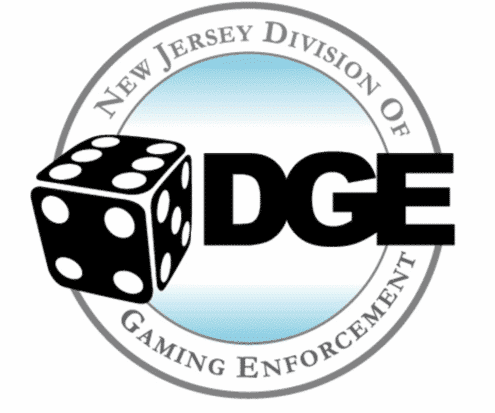 The laws and regulations put in place by the New Jersey Division of Gaming Enforcement (NJDGE) give players the ability to play safe and to have a fair chance to win. The NJDGE makes sure that each and every online operator ensures that all players are at least 21, are geographically located within the state of New Jersey, and are able to set limits to their online gaming at any time. All live dealer games are through the corresponding land based casino that runs, streams, and digitally manages all live dealer games within their license. The three different live dealer games offered through both the Golden Nugget NJ Online Casino and the Betfair NJ Online Casino give New Jersey players a versatile option with several advantages. Not only are you able to access the same type land based games with smaller minimums, but the return percentages are also slightly in your favor. Although traveling to the brick and mortar casinos can be a fun experience, playing from the comfort of your own home or from your mobile device is another plus for online live dealer casino games. At the moment, live dealer games are only available at two online casinos in New Jersey. However, the hybrid live dealer game types are relatively new to the industry, so you can expect to see other online casinos to follow suit.